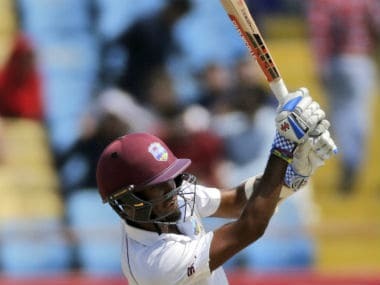 The West Indies batsmen were guilty of playing too much attacking shots in the first Test against India and going forward stand-in captain Kraigg Brathwaite said they would have to find the right balance between caution and aggression. 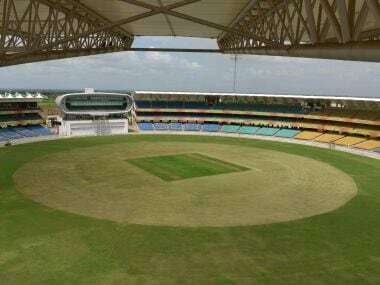 Saurashtra Cricket Association (SCA) is upset at BCCI's decision to send its own curators for pitch preparation ahead of the first Test starting in Rajkot on Thursday even though the parent's body move is considered 'standard practice'. 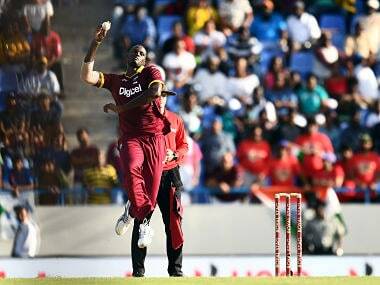 Evin Lewis epitomised the essence of T20 batting: fearless power hitting. 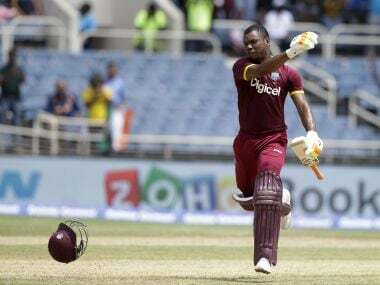 Neither pace nor spin could put a check on his frenzied pyrotechnics as he went hell for leather in a blistering exhibition of brutal, savage hitting. 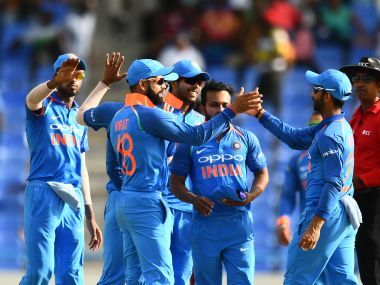 Virat Kohli did the star turn, with able support from Dinesh Karthik and Ajinkya Rahane as India sauntered past Windies in the fifth and final ODI of the series at Sabina Park in Kingston, Jamaica. With that, India wrapped up the series 3-1. India and Windies square off in the final one-dayer at the Sabina Park in Kingston, with the Jason Holder-led hosts staring at the possibility of levelling the five-match series. There is nothing much for India to achieve in this series other than collect some easy rating points and gain some good match practice. 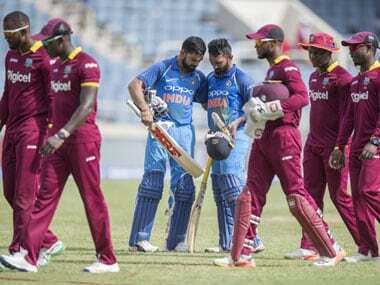 Here's all you need to know about the coverage of the fourth ODI match between India and West Indies to be played on Sunday. Dhoni, by concentrating on only limited overs cricket would be able to prolong his career. Barring injury or other fitness issues he should be able to dominate the game till the World Cup in two years time. And that should be some consolation for skipper Kohli who sees in Dhoni an entire support system by himself! Mahendra Singh Dhoni and the bowlers fashioned India's 93-run win over a lacklustre West Indies in the third ODI, giving the visitors an unassailable lead in the five-match series.